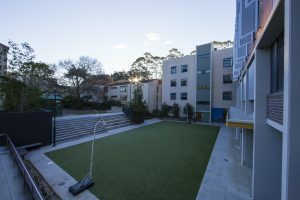 Are you thinking of staying at Robert Menzies College (RMC) because you love Sydney so much and can’t be bothered to go back home? Or maybe you’ve just found out the cost of flying back home (particularly international students) is more expensive than staying at Robert Menzies College for the whole mid-year break? Regardless of which situation you are currently in, you can either enjoy your student life without studying to the fullest OR you can balance it out by being a productive RMC resident. These are some brilliant ways to survive your mid-year break at Robert Menzies College. You might still be in the late night study sleep cycle since you just finished your final exams. This time however, you do not have to study late! If you are still awake at night, why don’t you catch up with the TV Shows that you could not watch or read books that you could not finish during the semester (other than your textbooks)? Or perhaps you have friends or more importantly your family members who are located on the other side of the planet who could not Skype with you. Why not use this free time to catch up with them if the time difference is not an obstacle? Then you can sleep in the next day and enjoy lying in bed without thinking about textbook chapters you have to catch up on or lecture slides you need to revise. Are you feeling lonely because none of your friends from your “group” are around? It is normal to feel this way because the relationship that you have built with some people for the previous six months just disappeared. But the truth is: you are not the only resident at Robert Menzies College! Any RMC residents who stay at RMC and not from your group of friends will feel the same way. In fact, this is the time when you can expand your circle of friendship. You might not have an international friend but you notice they are around by themselves or you might not have an Australian friend and you see them alone. It’s not that hard to say “G’day” or “How ya goin?” right? You might have been an RMC resident for six months or more but many residents have not used all the RMC facilities! Have you watched the TV in the TV room with your friends? Have you hung out at the N & S Block common rooms? Have you visited your self-catered friend’s kitchen and cooked together? Did you know RMC has a chiropractic table? Have you used the large screen in the Common Room to watch TV or a movie? Have you met and greeted the staff families who live on site and visited their flats (like all of them)? Have you been to all RMC’s study rooms? Have you played with the RMC pets? Have you visited Trinity Chapel Macquarie services on Sunday? If you have done all of these then why don’t you explore Macquarie University as the next level of challenge? Do you know any students who work around RMC or Macquarie University while they are studying? If they have to go home during this break then staying at RMC can be a blessing for you because there are job vacancies available! Look out for these opportunities if you are looking for extra money or even to experience while finishing your degree. Remember that graduates with job experience will be more likely to be employed. Robert Menzies College also employ residents to do casual work and normally more job vacancies are available during the break. You can always come to the office or approach a staff member at RMC to find out more about any job opportunities. Don’t forget that RMC residents are entitled to a free Macquarie University gym membership! If you made one of those New Year resolutions that involves your body shape, do it now! Use this spare time to go to the gym and exercise – use those fitness machines, join those classes, jump into the swimming pool and do laps – it’s free for RMC residents (excluding casual guests and conferences)! Enjoy this benefit while you are still living at Robert Menzies College. If you came from a different state or from overseas, the chances are that you think you are in Sydney but really you only know Macquarie Park area. Sydney is more than just Macquarie Park and New South Wales is more than just Sydney! Plan a day trip while you are still at RMC (it is possible, trust me)! The Blue Mountains are a 3 hour train ride from RMC and Canberra is 3 hour drive from RMC. You can also do the Spit Bridge to Manly Walk if you would like to stay in Sydney and enjoy nearly Sydney’s mode of transport (train from Macquarie University station to St Leonards station, bus from St Leonards to Spit Bridge, Ferry from Manly beach to Circular quay then train to Macquarie University). If you like to get an adrenaline rush, you can go skydiving or climb up the Harbour Bridge if you want to do something less extreme. 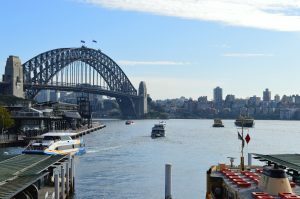 The fact is: you can always go online and write an itinerary on things to do in Sydney. Have fun!